Dr. J. N. Reddy’s research on shear deformation theories of composite laminates (which bear his name as the Reddy third-order theory and the Reddy layerwise theory), penalty finite element models of flows of viscous fluids, and finite element models of non-Newtonian fluids have been incorporated into commercial software packages ABAQUS, NISA and HyperXtrude (respectively). He is a legend in mechanical engineering education and research. It is neither brilliance nor his standing in the academic community -- though he could claim both -- that made him a legend. It is his passion for teaching (in the broader sense of the word) and love for people and the knowledge that he deeply cares to transfer to others. In honor of his distinguished career in teaching, research and selfless service to the mechanical engineering profession, the J. Mike Walker ’66 Department of Mechanical Engineering would like to establish the J.N. Reddy Chair in Mechanical Engineering. This faculty endowment will encourage and reward those faculty members who embody the passion for, and commitment to, mechanical engineering education for which Reddy is well known. Your gift will be recognized in accordance with policies of the College of Engineering and the Texas A&M Foundation. All gifts will be credited to the Lead by Example campaign. 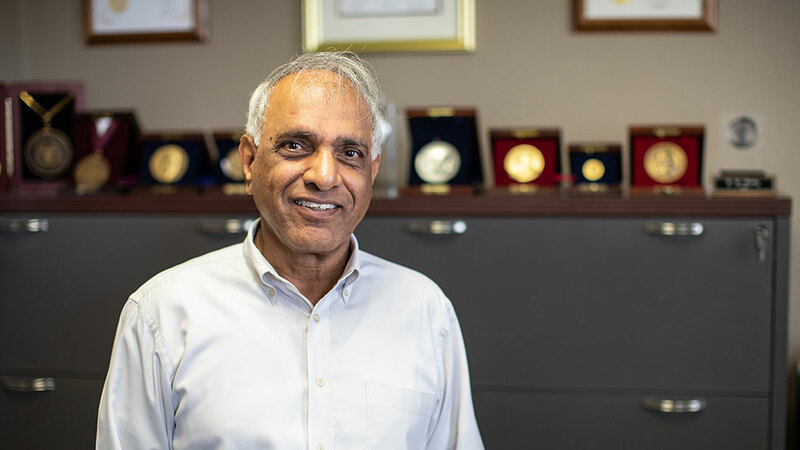 Reddy, who has been a member of the Texas A&M University faculty since 1992, is a highly cited researcher with a Google Scholar h-index of 100, an author of 21 textbooks and over 620 journal papers, and has been a leader in engineering research and education for more than 42 years. He has delivered over 160 plenary, keynote lectures, or general invited lectures at international conferences; taught over 110 short courses on linear and nonlinear finite elements, composite materials, and nonlocal structural theories; advised 36 postdoctoral fellows and research visitors, and advised 115 graduate students. Reddy has won teaching awards at every institution he served and national level recognitions for his teaching. An especially strong point of his classroom teaching is the clarity and physical insight of explanations of even the most difficult topics through relevant engineering examples, but without compromising the mathematical rigor. He maintains his own course websites where his meticulously prepared illustrations and learning aids have helped countless students grasp fundamental and advanced principles of mechanics and computational methods for which he is internationally known. Support the J.N. Reddy Chair in Applied Mechanics.